Another fun week of Tot School down. T week felt a little different from the past weeks in the sense I really didn't have as many art projects or fun side activities planned, and the week sort of got away from us. We blinked and the week was coming to an end before we did everything we wanted to do. Still, the trays were more or less a success. Ethan definitely favored some more than others. 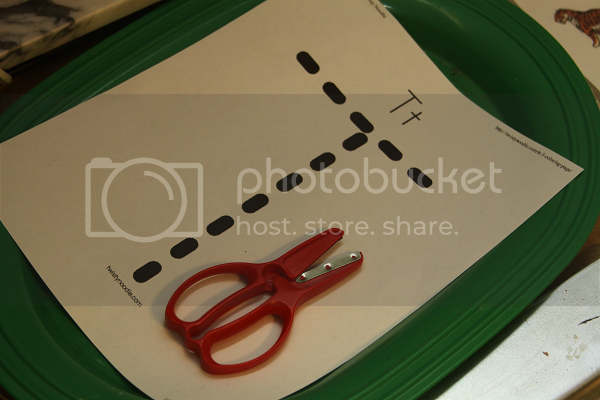 This sheet had three letter T items and Ethan's job was to use the dry erase marker to draw a line to connect the similar items. I was surprised at how much he really enjoyed this tray! However, he didn't like for the lines to cross over one another, so he'd draw one line, erase, draw the next. Ethan hated this tray. He refused to even try it once! I guess he wasn't particularly fond of the way it looked, or something. 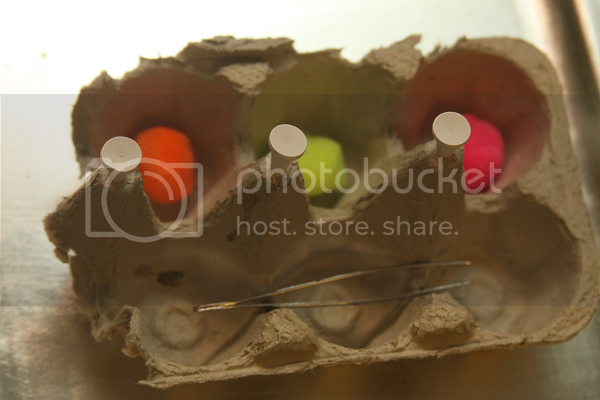 I stuck some golf tees in an egg carton, set out some pom poms for balancing and some tweezers. 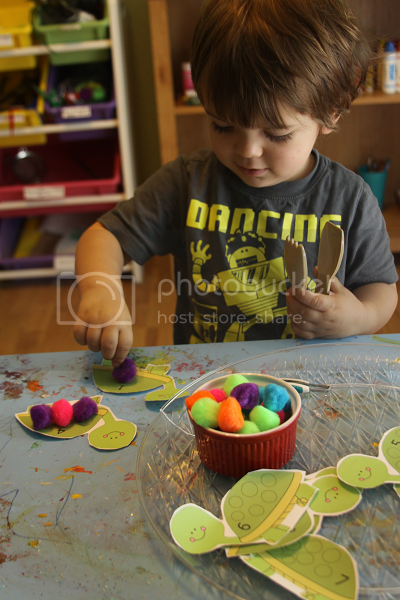 The point was to use the tweezers to place the pom poms on the tees, but Ethan insisted upon taking the tees out every time he glanced over at the tray. He wasn't a fun. Maybe another time! 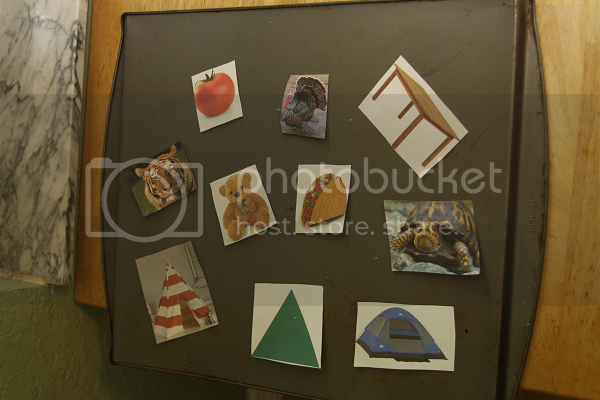 The magnet board was popular again this week, mostly because I included a teepee and that made Ethan's day since he just got one for Christmas. 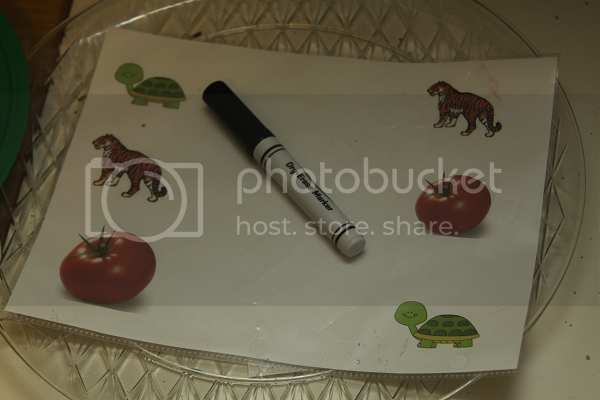 I printed out some turtles with small circles on their backs and numbered from 1-10. Ethan's job was to place the correct number of pom-poms on the circles to accompany the displayed number. I had found a pair of pretty easy to work with tongs at Goodwill that I threw on the tray, but mostly Ethan did this one with his fingers. I was sort of surprised to find that Ethan was able to identify all of his numbers 1-10, stumbling a little bit on 10 itself ("1 with a circle, mommy") and counted the pom-poms out perfectly! 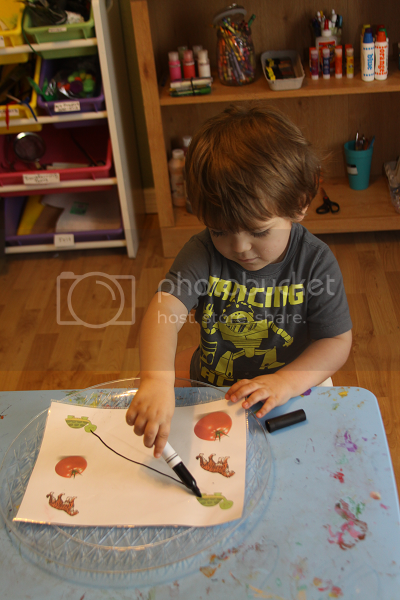 He was really proud of himself each time he did this tray, but towards the end of the week he just liked playing with the turtles and would use the tongs to move the actual turtles around. I was so sure that this would be the hit of the week since Ethan loves cutting with his new scissors, but he didn't really want to do this one too frequently. 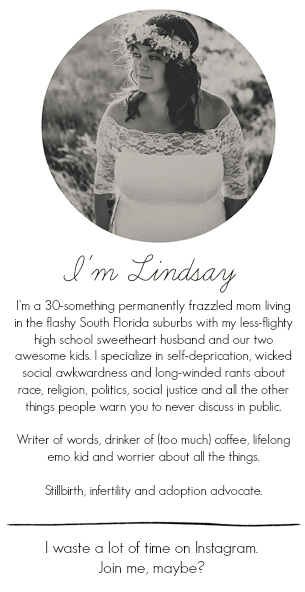 The point was to cut along the dotted line of the T (which I printed from Twisty Noodle). 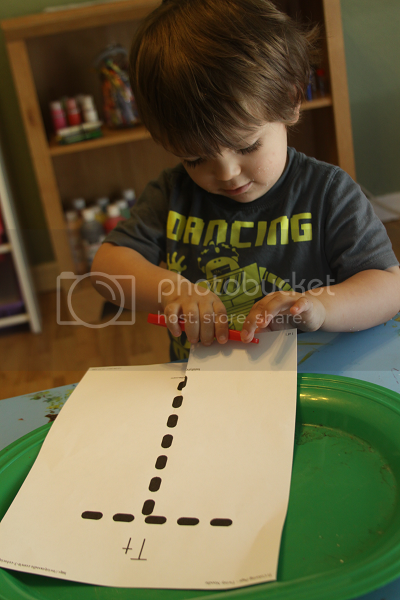 He started to do this, but mostly just fringed the edge of the paper before moving onto the next tray. I had included this one just for fun, and Ethan really loved it. 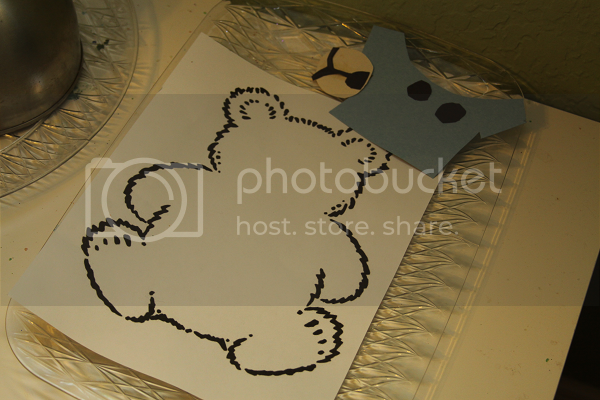 I printed a teddy bear outline from Twisty Noodle and cut out some facial features and a t-shirt from construction paper. Ethan just got to put everything where it went and build his teddy bear. I surprised by how much fun he had with this one! This was Ethan's favorite tray in, oh, ever. I'm pretty sure he woke up super early just to sneak into Tot School and do it before we woke up. 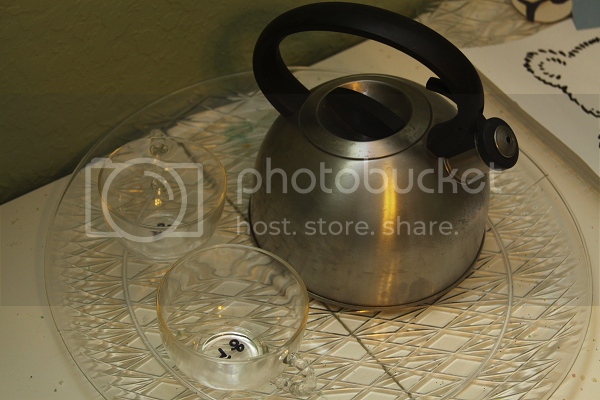 I had found an old tea kettle at Goodwill for $3 and a couple of lightweight tea cups, too. 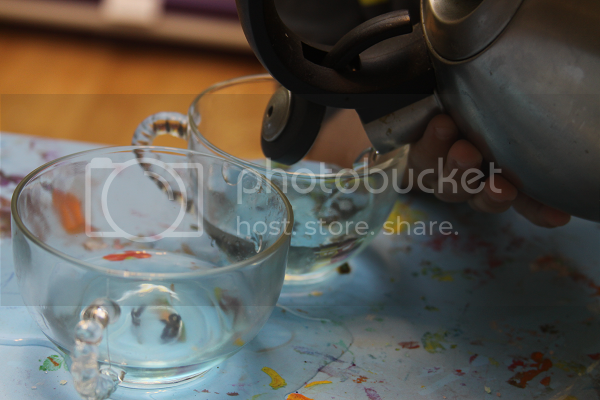 I filled the tea pot just a little bit with some water and a tiny bit of liquid watercolor (so it would stand out when he poured it in the cups, but not enough to make a huge mess since I knew this would!). 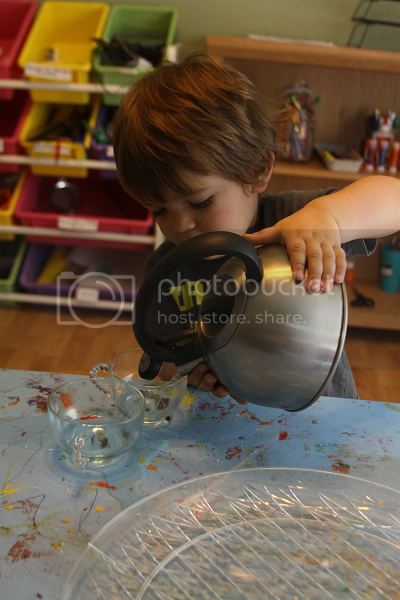 He had some spills and drips the first couple of times, but before long he was a tea pouring pro! My husband will probably defend this when he reads it, but we don't have a very handy household. I searched for a full day and these are the only tools I was able to find for Ethan to explore using. 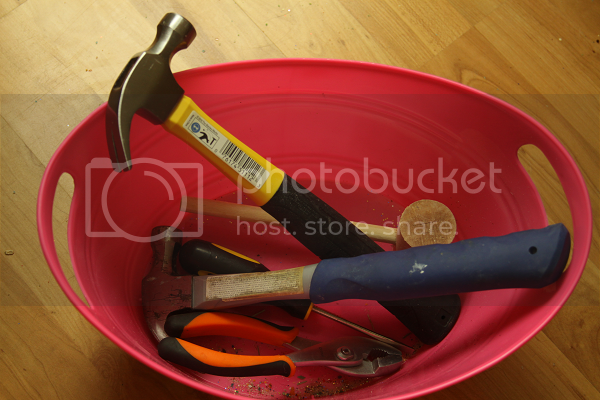 (And I'm not totally sure if the wooden mallet even counts, but I vote it does.) I was sure this bin would be a bust this week, but Ethan really loved it! 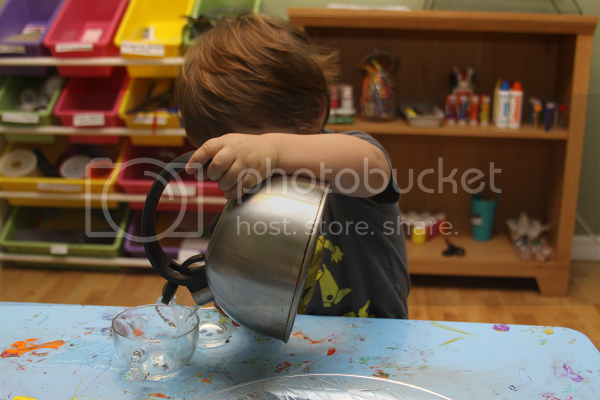 It was fun watching his imagination flourish as he walked around our classroom "fixing things" with the tools. 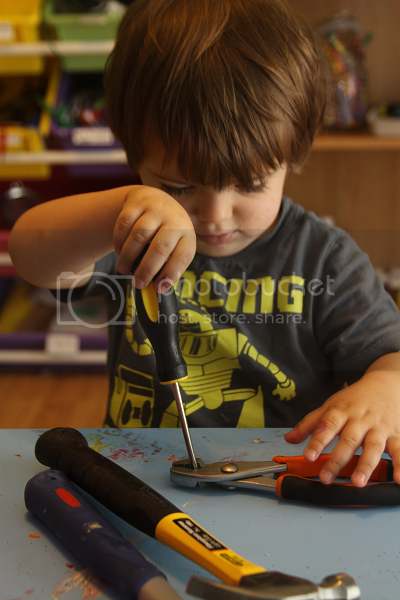 He would even fix the tools with other tools. I LOOOVE the Turtle idea!! So Cute! 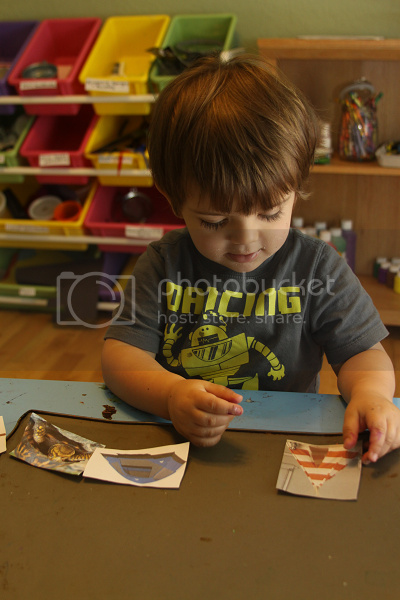 You dont need to put him in Preschool because you are rocking it with the Tot School!!!! You are so creative with your ideas! Love it! Love your Letter T week! I'm going to have to check out the letter printables at Twisty Noodle as my daughter LOVES to cut!! 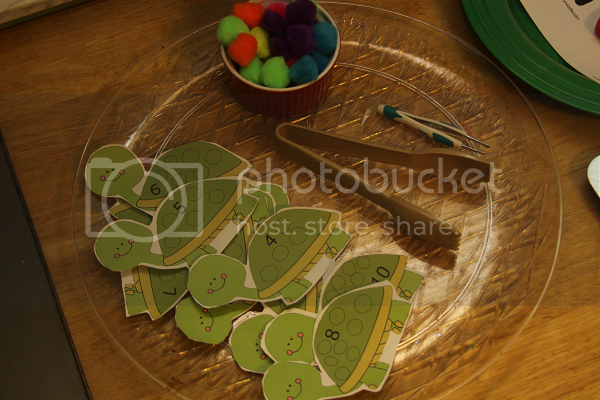 And the turtle counting activity is too cute! If you made it yourself, you should seriously consider making that available through googledocs or something for others!! It's a great idea! So many wonderful activities for your little one to experience!! Love it! Thank you! 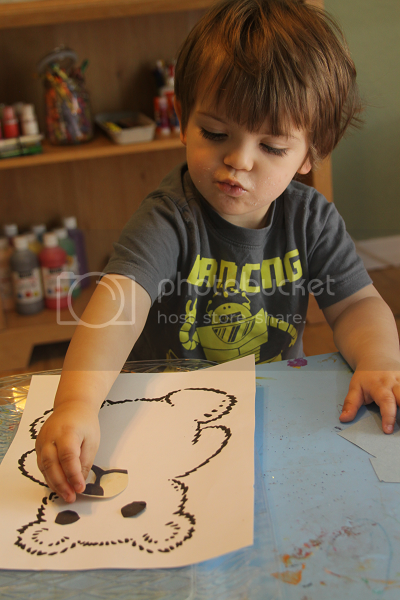 Twisty Noodle has some awesome free printables, and fun little mini-books to color/paint, too! We love that website. 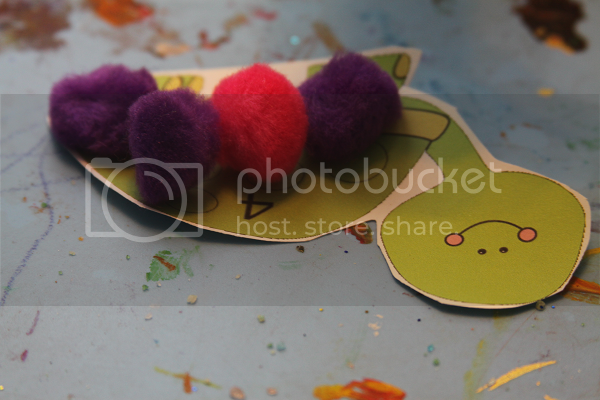 The turtle was a free downloadable clip art that I added circles to! I never thought about doing Google Docs -- that's a great idea! Thanks for the suggestion!